There are many things we do not know, but sometimes our ignorance runs deeper than other times. In regular cases of ignorance we can ask a particular question, but we can’t figure out what the answer is. Furthermore, for some such cases we are bound to always remain ignorant, and we know it. Is the number of T. Rex that ever lived odd or even? We will never know, that information is lost in time, but, of course, in this case it won’t matter what the answer is. However, in other cases our ignorance might go further and there it might matter a lot. Sometimes we might not merely be unable to answer a question, but we might be unable to ask the question in the first place. To illustrate this possibility, it is important to make vivid that every time we come to know something we need to complete two quite separate tasks, each of which is an achievement: one is to be able to represent the world, the other to find out that this representation is accurate. For example, when I come to know that mercury is toxic I first have to be able to represent that mercury is toxic in thought or language and then, second, have good enough reasons to hold that this representation is correct. Normally the second part gets all the attention, since it is holding us back in ordinary cases of ignorance: ones where we can ask the question, but we are unable to answer it. But in some cases a lot of the real work went into being able to ask the question and represent the world in the first place. To be able to represent that the universe is expanding, for example, is a real achievement, besides finding out that it is an accurate representation. To come to know we thus need to complete two separate tasks — a representational one and a more narrowly epistemic one — and our inability to complete one or the other can be a source of ignorance. We can say that deep ignorance obtains when the source of our ignorance is representational, and regular ignorance when the source is epistemic. We are clearly ignorant of some facts, but are we deeply ignorant of some facts? Are there facts we can’t represent at all, and thus can’t even ask whether they obtain? Any fact that is beyond what human beings can represent in thought or language we can call an “ineffable fact.” If there are ineffable facts then we are deeply ignorant of them, and thus our ignorance goes deeper than merely being unable to answer a question we can ask. If there are such facts then we clearly can’t give an example of them. We can’t coherently say that the fact that…is ineffable for us. But even though we can’t give examples of facts we are deeply ignorant of, we might still have good reasons to think that there are such facts. I would like to suggest that the answer to this question is rather significant for our conception of ourselves in the world and for what ambitions we can hope to have for coming to an understanding of the world as a whole. Once we think about it, we should expect that there are ineffable facts. Even though we can’t give examples of facts that are ineffable for us, we can give examples of facts that are ineffable for other creatures, ones that have lesser representational powers. A squirrel can’t represent the fact that there is an economic crisis in Greece, but we can. We do better than the squirrels, but why might other creatures not do even better? Maybe other creatures — gods or aliens — could, and in fact do, look down at us like we look down at the squirrel. And maybe they would say that although humans are pretty good at representing some of the facts, like that there is an economic crisis in Greece, their human minds are much too simple to represent the fact that … (and now only they could complete this sentence). And thus there would be facts ineffable for us, and these other creatures can give examples of them, although we can’t. But then again, maybe we got lucky, and we can in fact represent all the facts. Maybe we made it to the top of what can in principle be represented, while the squirrel is only halfway there. But that would be lucky, and we shouldn’t expect to have gotten lucky, even though we might have. Our brains are much larger and more complex than the squirrels’, but still much smaller than brains the size of a truck. A creature with super-complex truck-size brains might be able to resent much more about reality than we can. Unless, of course, as luck would have it, our size brains are just good enough to represent everything there is to represent, while the squirrels still fall short. Since we shouldn’t count on having gotten lucky, we should expect that there are ineffable facts, facts hidden from us just as the fact that there is an economic crisis in Greece is hidden from squirrels. But then, how can we hope to come to a proper understanding of all of the world when we need to recognize that our minds likely are too simple to even represent all of the facts? What should we conclude from there being ineffable facts and our being deeply ignorant of them? In a second part, I will look at one proposal for an answer to these questions. I’m not sure I completely agree with the statement “We can’t coherently say that the fact that…is ineffable for us”. I think we can coherently (sort of….) say that “the fact that God exists” is ineffable for us. I think it’s ineffable in that there isn’t really much agreement on what God might consist of (i.e. in terms of the word being an adequate representation) let alone try to establish truth or falsity. But the utterance itself seems like it might be useful in the sense of directly trying to express an important confusion about the structure of the world and lead to methods and conclusions that might retrospectively be considered coherent. This seems similar to me, to the more utilitarian case of techniques in fuzzy logic being useful. 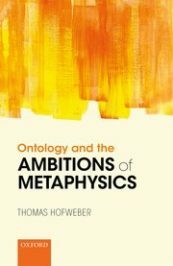 While statements in fuzzy logic aren’t coherent or about anything in the sense of classical logic, they still point towards methods and techniques that might lead to results that could be considered useful and/or coherently explained. This is to Karl: I think the ineffable facts are those we cannot speak of, so beyond our logic that we cannot represent them in our language(s). so “is there a god” does not look like that type of unknown. There are facts that were ineffable in the past but are not now. E.g., the classification of finite simple groups. More will become apparent in the future, we cannot know where, otherwise they will not be ineffable. There seems to be a continuum from ineffability to effability.